Forest Garden Pressure Treated Shiplap Apex Garden Store: The Forest Garden outdoor store is the perfect place for keeping all of your garden equipment and outdoor tools. 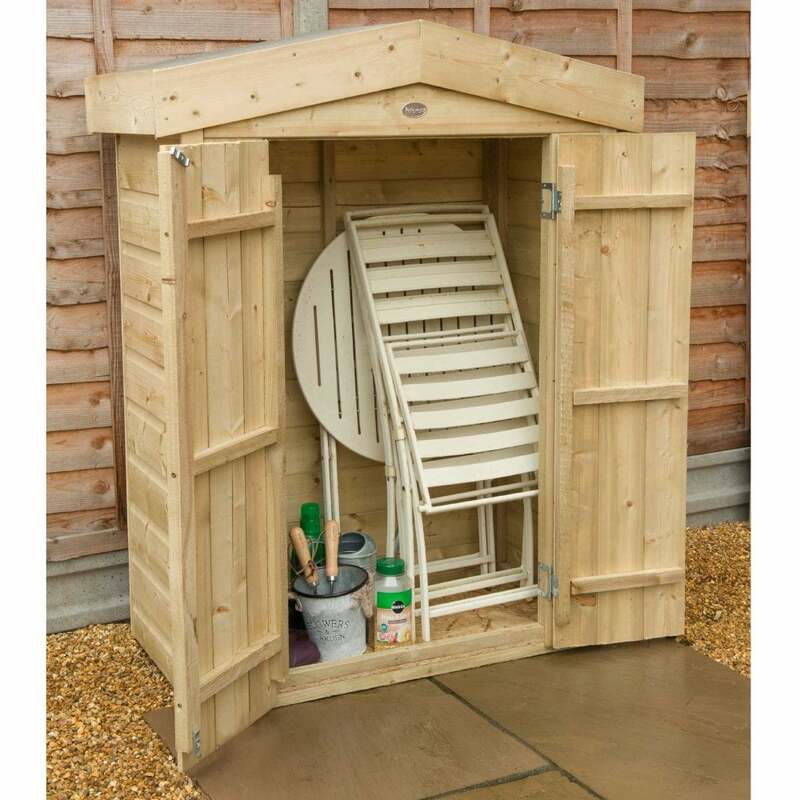 With a 600 litre capacity, the mid-sized storage unit is an ideal solution for decluttering your garden. The Forest Garden apex store is constructed using FSC certified timber, 12mm shiplap cladding and 8mm OSB sheet boards for the floor and roof. The floor of this wooden building is mounted on pressure treated bearers to keep it off the ground and dry to protect your stored items from the elements. The ledged double doors provide easy access to your garden store and a plate hasp and staple closure is provided for additional security.